3.7V lithium batteries are commonly used in many projects. However, the remaining power and voltage of the lithium battery are highly nonlinear. We can only roughly judge whether the battery is full or almost empty according to its voltage. The Gravity I2C 3.7V Lithium Battery Fuel Gauge employs Gravity I2C interface, ultra-low operating current, and real-time tracking of the relative state of charge (SOC) of the battery through Maxim's patented algorithm, eliminating the need for full-to-empty relearning and offset accumulation errors. 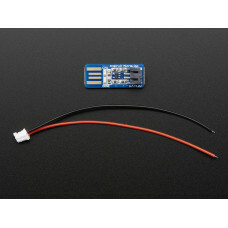 Plug and play to accurately measure the voltage and remaining power of the battery. 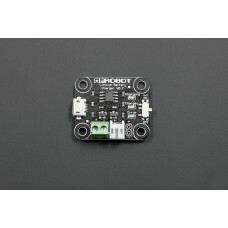 The module also features as a low battery power alert interrupt function. When the battery power falls below specified threshold, the ALR pin generates a falling pulse to trigger the external interrupt of the controller. 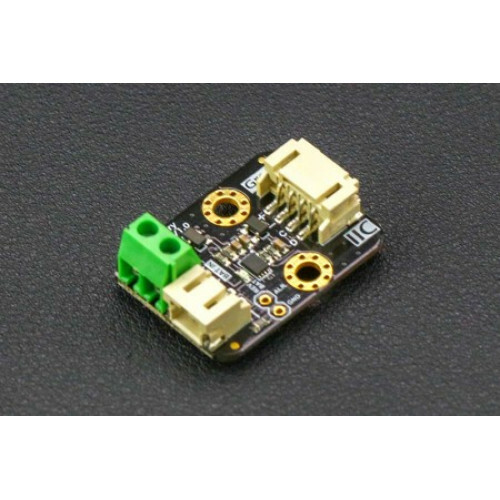 You will find it a great help to estimate the battery life by learning the power consumption of the system with this module. In the solar powered projects, it helps to record the status of the battery power change in a day or even months, which benefits to understand the power balance of charge and discharge of the solar system. Battery Lithium Charger. If you need to charge LiPo batteries, this simple charger will do just th..